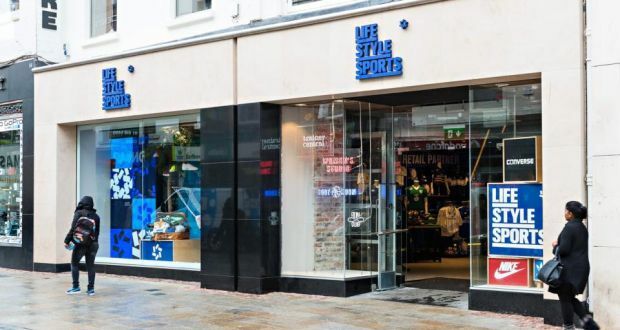 Irish Life has strengthened its hold on Dublin’s Grafton Street by purchasing two recently amalgamated shops which now serve as the flagship store for Life Style Sports. The fund has paid €19.2 million for 57/58 Grafton Street which will show an initial yield of 3.4% after standard purchasing costs are taken into account. The transaction will be seen as another example of the steadily falling yields on Dublin’s principal shopping street over the past year as a result of the renewed competition between Irish and overseas funds for prime retail investments. The firm expectation that rents are about to start rising again is another factor. Irish Life has also been active on Henry Street, buying the Pamela Scott store at number 3 for €5.7 million. The acquisition will be of strategic importance to the fund as it already owns number 1 occupied by jeweller H Samuel and number 2 rented by Carphone Warehouse. Savills handled the sale of the Life Style store which is rented at €675,000 per annum. The trader’s parent company Stafford Holdings Ltd has guaranteed the rent and a bank guarantee is also in place. The new shop replaced Zerup and Richard Alan which were acquired during the boom by developer Bernard McNamara as part of a larger plan to create a new retail street running from Grafton Street back to South William Street and Drury Street. The four-storey over basement building extends to 1,150 sq.m (12,400 sq.ft) with more than half the space being suitable for retail use on two levels. Life Style has frontage on to South King Street as well as Grafton Street. Irish Life has handled over €1 billion in property transactions across several markets in the past two years, with most of it – €650 million – being invested in Irish property. Most recently it paid around €154 million for the Sovereign Portfolio which covered a large chunk of Grafton Street including McDonalds, Office Shoes, Health Matters, Clarks and Pamela Scott. The decision to buy the Royal London portfolio means Irish Life is now the largest stakeholder on Grafton Street as it already owns a number of other stores on the street including Burger King, Levis, Sicily fashions, Rocks jewellers, Spar and American Apparel.